From the train station the best direction seemed to be to head to the port (when in doubt on the Côte d’Azur always head for the sea, you won’t be disappointed…the colour of that ocean!). 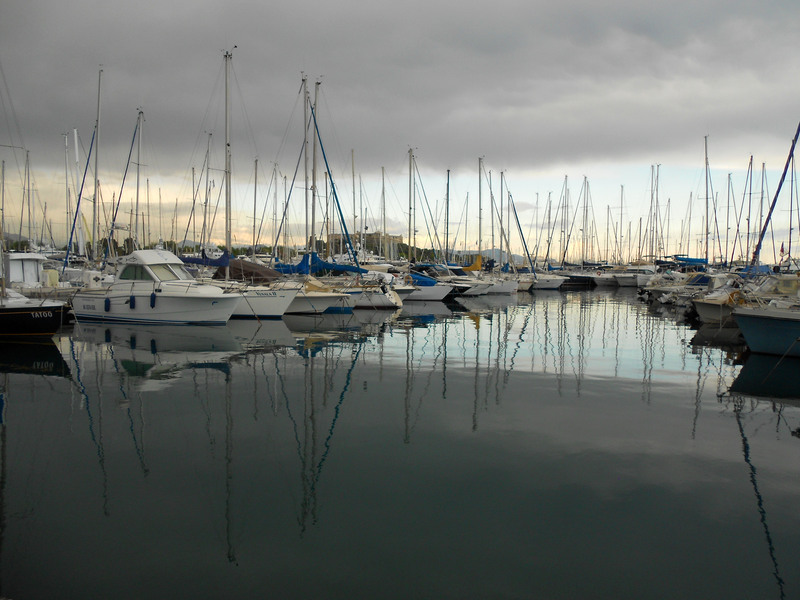 Port Vauban is the largest marina in Europe with everything from local fishing boats to luxury super yachts. 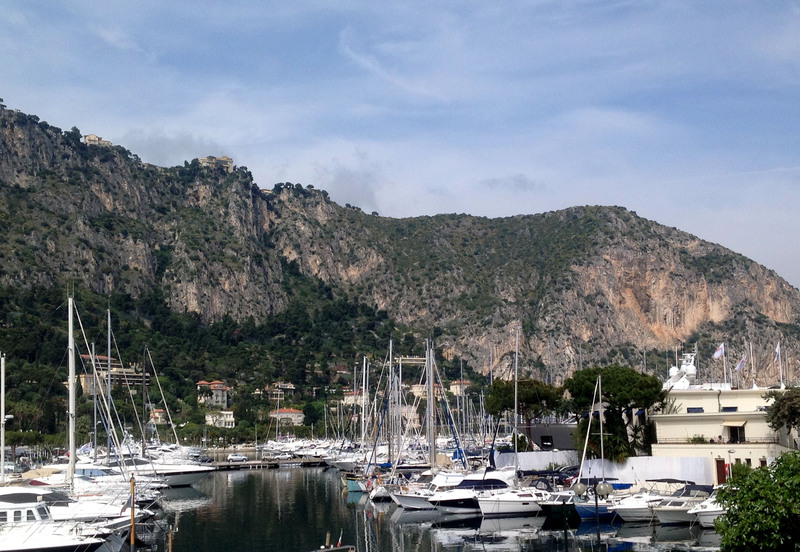 It’s in a beautiful spot on the edge of town and through the masts of the yachts you can see the Fort Carré directly across the harbour. This is an imposing 16th century star-shaped fort with four arrow-head shaped bastions. 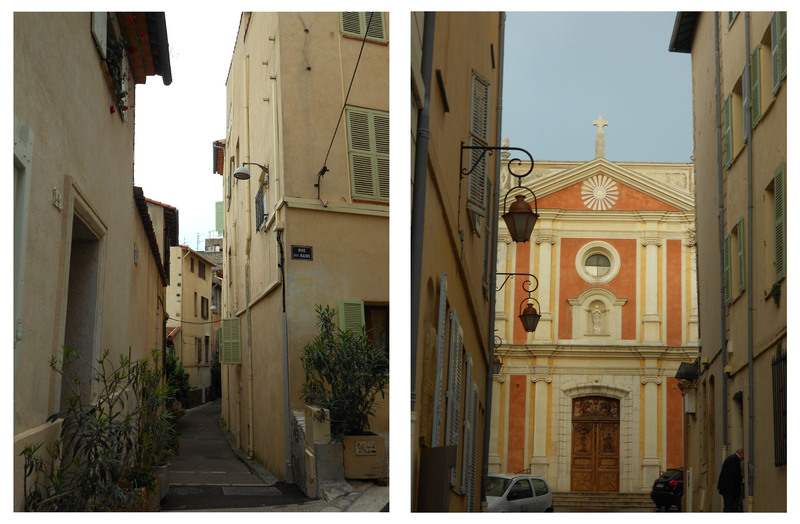 After a few dead ends I luckily managed to discover the old town (vielle ville) of Antibes and what a treat! So many charming quaint streets resting peacefully in their obliviousness… Don’t miss the Church of the Immaculate Conception built in the 11th century with its bright pastel orange and wooden sculpted façade, the Marché Provençal and the Château Grimaldi (now the Musée Picasso). There was another time this lack of planning revealed gems too! Exploring the Cap Ferrat was a bit of a last minute thing. This headland juts out from the Côte d’Azur about half-way between Monaco and Nice. 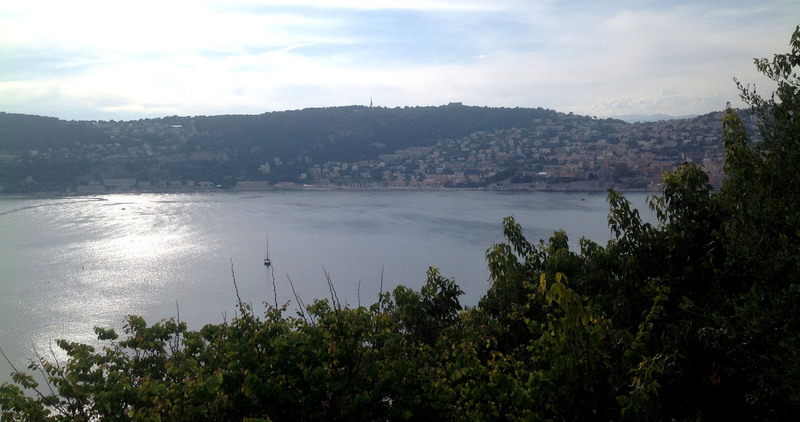 The Baie des Fourmis (Bay of Ants) is on one side, the Rade de Villefranche-sur-Mer on the other with the sparkling Mediterranean Sea spread out in front of it. 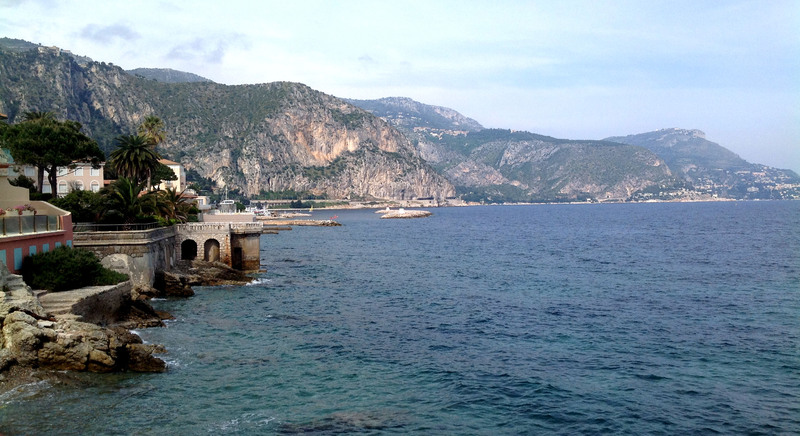 Returning from Monaco I, somewhat impetuously, got off the train early at Beaulieu-sur-Mer. Wouldn’t you want to see for yourself if this place lived up to its name – “beautiful place on the sea”?! In fact it is a small, sleepy town, described as a ‘nice place for retirement’ which I can understand! 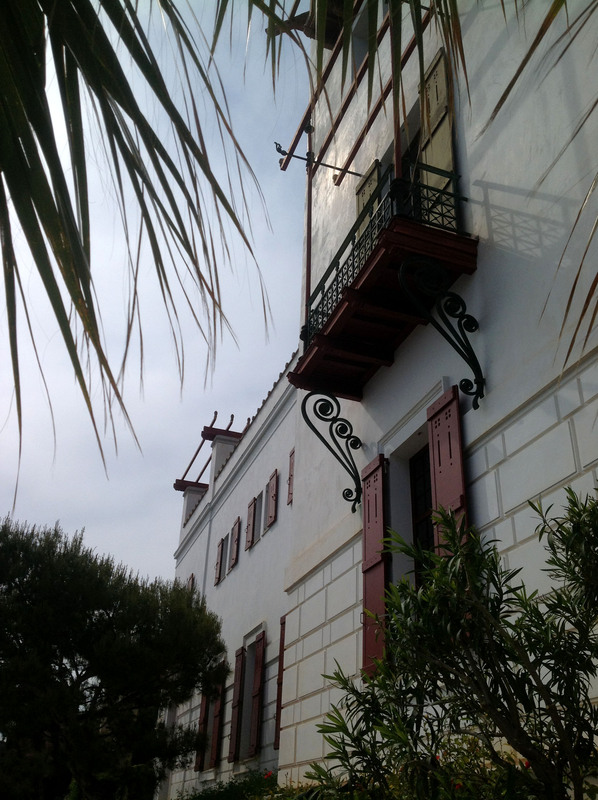 It has a nice port and a lovely beach at the Baie des Fourmis bordered by palm trees…I stumbled on (ok, it was kind of planned) the Villa Kérylos – envisioned by the archaeologist Théodore Reinach and finished in 1908. This attractive residence is a faithful reconstruction of a luxurious Greek villa from the 2nd century B.C. but, in my opinion, the interior is too spartan to be truly beautiful. A walk on the Promenade Maurice Rouvier allows stunning views of the coastline and Mediterranean Sea on the Baie des Fourmis side. 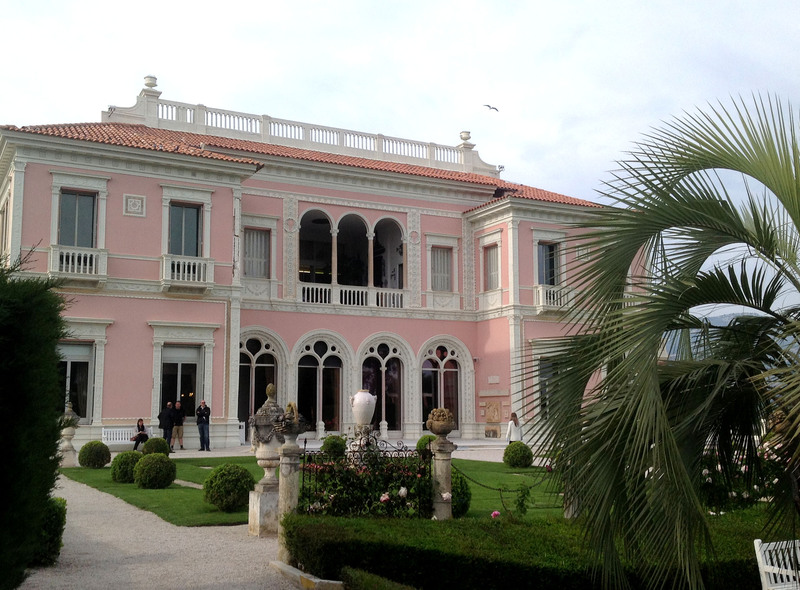 Finding the Villa Ephrussi de Rothschild was incredible (though not at all an accident) – the beauty of this villa and gardens built in the Italian Renaissance style during the Belle Époque age by the eccentric Béatrice Ephrussi de Rothschild is breathtaking and remains one of the best sights I’ve seen on my Côte d’Azur trip. Built between 1905 and 1912, this rose pink villa stands on one of the highest points of the peninsula affording it wonderful views in all directions. The French garden was inspired by Béatrice’s time on a cruise with the sea visible on all sides – the house itself was to be the bridge of the vessel from which the whole ‘ship’ or garden could be seen. Inside you can still see the grand salon sumptuously decorated with Louis XVI furniture, Béatrice’s boudoir and bedroom with its Venetian bed adorned with Chinese silk as well as guest rooms with striking views across the Mediterranean maintained as they were in the Belle Époque. The great audio guide has lots of information about the villa and its collections of Boucher and Lancret paintings, Savonnerie carpets and Sèvres porcelain as well as the amazing Béatrice and her vibrant life (including details of her pet poodles and mongoose and a well-attended canine wedding in her gardens). 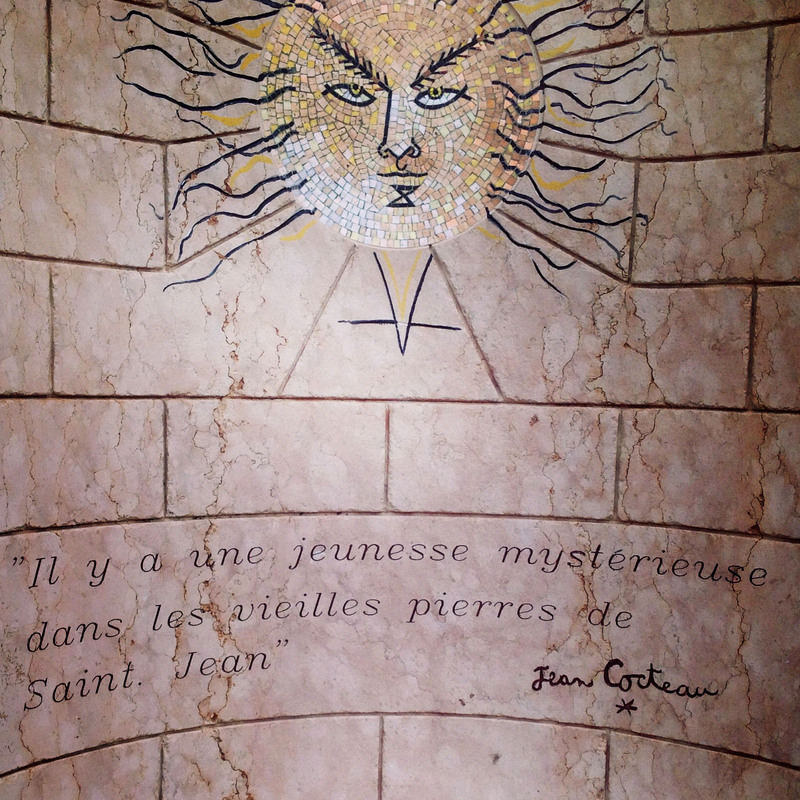 I walked on, finally reaching Saint Jean-Cap-Ferrat, the main town on the peninsula, although still not much more than the cute fishing village it developed from. It has some appealing restaurants and bars, a museum of seashells – Musée du Coquillage (though I was too late to visit) – more beaches and a walking route that goes to the very end of the Cap Ferrat peninsula not to mention the many sumptuous villas hidden away behind hedges and fences – this is the home of the very rich of the French Riviera… and I love it!